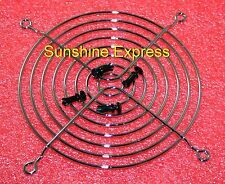 Manufacturer: Dell Part Number: G8KHX Warranty: 6 Months Shipping: Free Fed Ex ground or USPS shipping. ACER Aspire 5332 5732Z eMachines E525 E725. Kühler Heatsink für Notebook. Wire transfer. - Check (France only). U2641 is The Dell Part Number For The Black Assembly. Physical Condition: Good / état ok.
Ventilateur système dell 2900 - 1900 Bon état, tous testés. 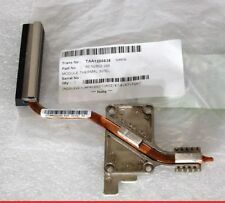 NEW GREEN DELL 3Y573 OPTIPLEX SX260 CPU BRACKET W/Screws. Im unbenutzten Zustand p/n 60. PAJ01.001 60PAJ01001. 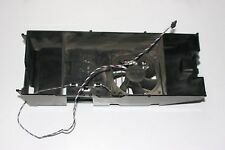 Kühler Lüfter Cooler Heatsink für Notebook. Kühler Model SUNON MagLev MG55150V1 DC 5V 0,7W. ACER Aspire 5536 5738 5738Z. EL ARTÍCULO ESTÁ USADO, como nuevo, verificado, buen estado. Im unbenutzten Zustand p/n 60. NAH02.006 60NAH02006. Kühler Lüfter Cooler Heatsink für Notebook. Kühler Model AB4205HX-KB3 nur 7 mm Bauhöhe DC 5V 0,30A. 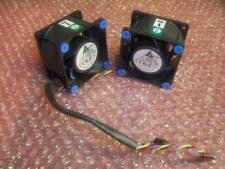 Dell Part Number's:XF731 P2780 0XF731 0P2780. Our knowledge of Dell Parts is second-to-none and we have a large Database which can help with alternative parts which will work in your system. Get In Touch. All part tested before despatch. Our knowledge of Dell Parts is second-to-none and we have a large Database which can help with alternative parts which will work in your system. WANT IT URGENTLY ?. Everywhere from Alaska to Australia, Birmingham to Burma. Cash on collection. Any item that is not photographed will not be included. We hope you will be very happy with your item. If there is an issue with your item and you believe it to be faulty we will help you as quickly as possible. Audio Visual. We Accept Only. Ending Soon. New Arrivals. QUICK LINKS. we do not take any responsibilty after this. Why Choose Us! Desktop PC. ACER aspire 5332 5732Z eMachines E525 E725. Cooler heatsink for notebook. Fan of cooler heatsink for notebook. ACER Aspire 5551 G 5552 G 5742. in unused condition p/n 60. PUU 02.001 60PUU 02.001. Cool model KSB06105HA DC5V 0.40 A. Fan of cooler heatsink for notebook. ACER Aspire 5536 5738 5738Z. 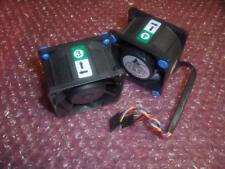 Cooler model Sunon MagLev MG55150V1 DC 5V 0.7 W. in unused condition p/n 60. PAJ 01.001 60PAJ01001. 7220,7520 ACER aspire 7520 G and Extensa 7220 in unused condition. Cooler heatsink for notebook. Cool model SUNON MagLev MG60120V1-B000-G99 DC5V 2.0 W. ACER Aspire 5738. Fan of cooler heatsink for notebook. in unused condition p/n 01.002 60. 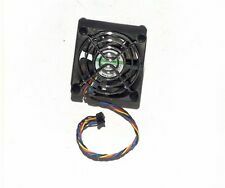 Fan of cooler heatsink for notebook ACER aspire 5738 G 5738ZG. in unused condition p/n 01.001 60. Pat 60PAT01001. Fan of cooler heatsink for notebook ACER. Cool model AB7905MX-EB3 DC 5 v 0.40 A. in unused condition p/n 60. Cool model KSB06105HA DC 0.5 V 0.4 A. Fan of cooler heatsink for notebook. ACER aspire 5740 G 5742 G 5742ZG. as well as ACER TravelMate 5740 G 5740ZG 5742ZG. in unused condition p/n 60. 001 60TVH02001. ACER AspireTravelMate 4740Z 4741Z. Fan of cooler heatsink for notebook. in unused condition p/n 60. PTF 01.001 60PTF01001. 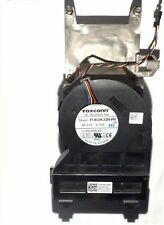 Cool model F93L DC 5V 0.5 A.
ACER 5536 aspire 5738 5738Z. Fan of cooler heatsink for notebook. 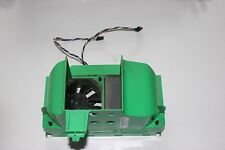 Cooler model Sunon MagLev MG55150V1 DC 5V 0.7 W. in unused condition p/n 60. PAJ 01.001 60PAJ01001. Fan of cooler heatsink for notebook. in unused condition p/n 60. NAH 02.006 60NAH02006. ACER aspire 5332 5732Z eMachines E525 E725. Cooler heatsink for notebook. in unused condition p/n 60. N 2802.006 60N2802006. Fan of cooler heatsink for notebook. ACER AspireTravelMate 4740Z 4741Z. in unused condition p/n 60. PTF 01.001 60PTF01001. Cool model F93L DC 5V 0.5 A.